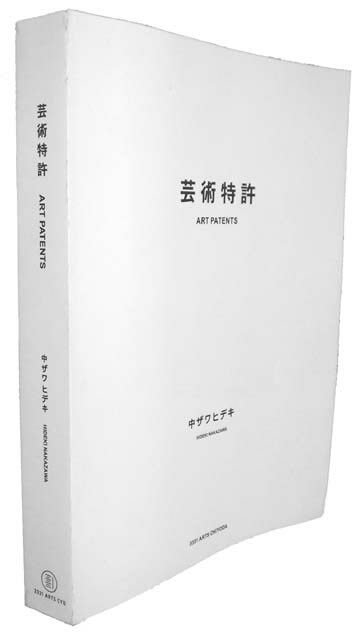 An artist's book which is compiled with all the details of claiming patents for tools of art are art, from inventing and obtaining them, patent poverty, securitization, and to the selling them. 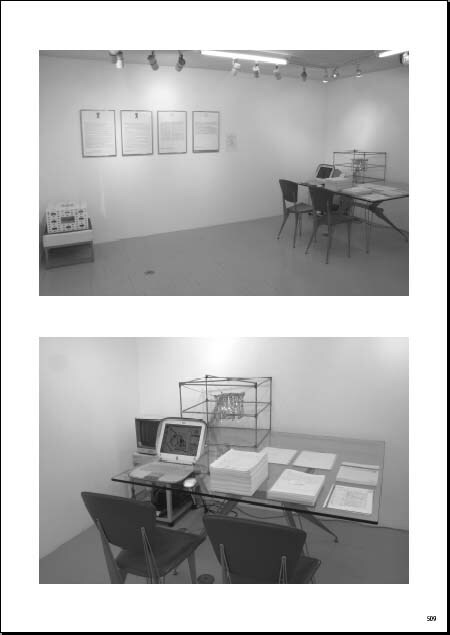 "In 1996, I invented new fundamental tools of art in the world of computers and applied for patents. Just at that moment, I believed firmly that the invention of tools of art itself is art, rather than making art works by using the tools of art." "This is not mere invention in the field of technology. Invention in the field of art, creating a new genre, I believe." 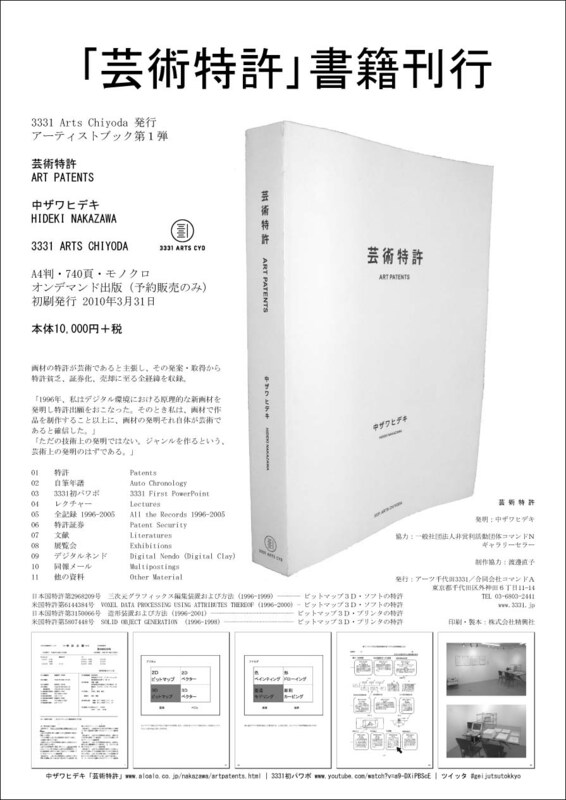 Printing and Binding: Seikosha, Inc.
関連イベント「デジタルネンド・デモ」 Related Event "Demonstration of Digital Nendo"